AUCKLAND, New Zealand - Auckland City FC started the new year with a bang after dumping Super City rivals Waitakere United 2-0 at Trusts Arena today. There were three key changes for the Navy Blues with Fabrizio Tavano and Micah Lea'alafa in for Yousif Ali and Alfie Rogers, but the most notable the ommission of Spanish goalkeeper Enaut Zubikarai from the starting line-up who was replaced by debutant Ruben Parker. 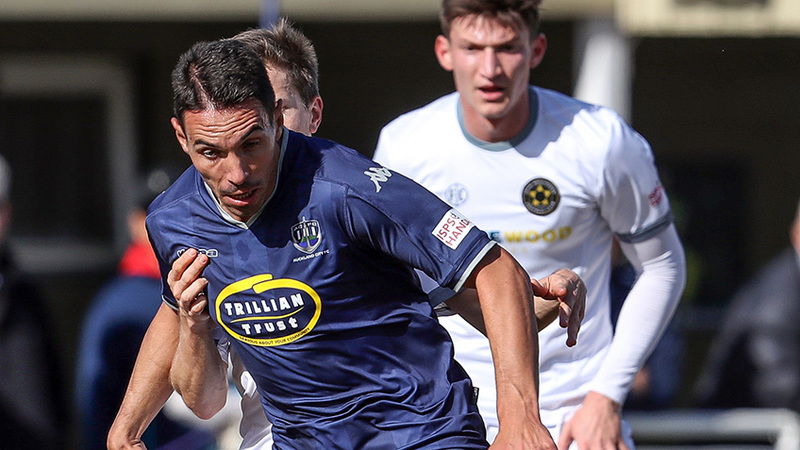 POST MATCH REACTION - Waitakere United 0-2 Auckland City FC#NavyBlues coach Ramon Tribulietx reflects on today's Super City derby victory, updates us on Enaut Zubikarai's injury & Ruben Parker's performance. Fears the reigning champions would be sluggish out of the traps following the festive break were quickly dispelled with the Navy Blues carving the hosts open at will. Micah Lea'alafa and David Browne were in scintillating form and were it not for the goalkeeping brilliance of Silvio Rodic or Chris Trent's flag, the visitors may have scored a bucketful in the first half. Waitakere United clung on doggedly with a Javier Lopez goal disallowed for offside after 21 minutes and Rodic pulling off top saves from Dan Morgan, Lopez and Lea'alafa in a busy first half for the former Eastern Suburbs stopper. Lopez then missed out again after Lea'alafa sped by his marker to latch onto a Drake throughball only for the cross to elude the Spanish striker at the far post by centimetres. A penalty was awarded minutes before the halftime break when Lea'alafa was bundled over in the box, Lopez sending Rodic the wrong way for the opener and his eighth goal of the season. After the restart, it was more of the same with Morgan ghosting beyond his marker then finding Reid Drake with a delicately measured cross which the in-form midfielder slammed into the crossbar with a spectacular right foot scissors kick. Lopez doubled the lead when he finished from close range near the hour mark and when Sanni Issa was shown a second yellow card for a late challenge on Angel Berlanga with 15 minutes left, the game was beyond Waitakere United's reach. Auckland City FC's next match is at home to Southern United at Kiwitea Street on Sunday 13 January 2019. AC: 18. Ruben PARKER (GK), 5. Angel BERLANGA (4. Mario BILEN 74'), 6. Brian KALTAK, 7. Cam HOWIESON, 9. Javier LOPEZ, 10, Micah LEA'ALAFA ( 23. Alfie ROGERS 60'), 11. Fabrizio TAVANO, 14. Jordan VALE, 15. Dan MORGAN, 17. Reid DRAKE (16. Yousif ALI 88'), 19. David BROWNE. SUBS NOT USED: 24. Cameron BROWN (GK), 2 Hayden McHENERY.